The Sagranus Stone at St Dogmael’s. OS Grid Reference: SN 16404 45914. 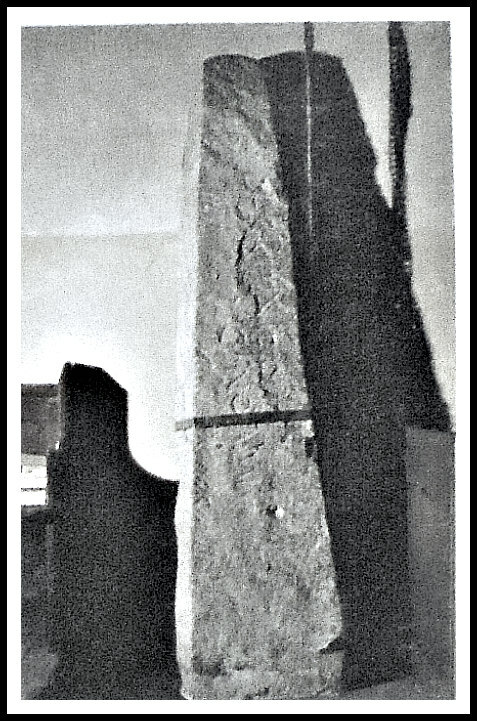 In the mid-19th century parish church of St Thomas the Apostle in the village of St Dogmael’s (Llandudoch), Pembrokeshire, is The Sagranus Stone, a 5th century pillar-stone which is inscribed with both Ogham and Latin inscriptions to the memory of Sagranus, son of Cunotamus. There are some other Early Medieval stones in this church though these would be called cross-slabs rather than inscribed stones. Close by the church are the ruins of the 12th century St Mary’s abbey of the French Tironesian religious order but, a long time before that, there was a Celtic ‘clas-type’ monastery here in the 5th century which had been established by St Dogmael, a Welsh monk who was born in the local area. 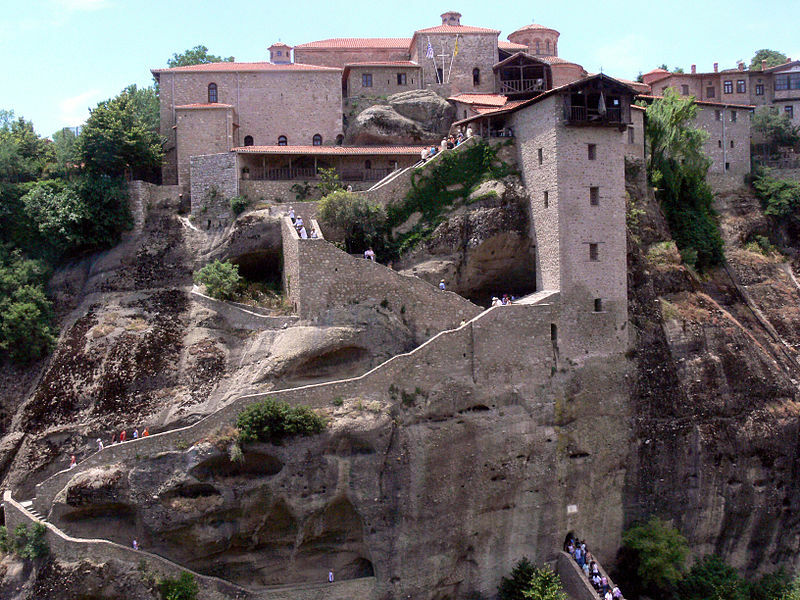 This early Christian monastery was, however, destroyed by the invading Danes in 987 AD. The village of St Dogmael’s, also called Llandudoch, lies 1 mile southwest of Cardigan (over the river Teifi) and 3 miles northwest of Cilgerran. St Thomas’ parish church is located on Church Street and the abbey ruins are next to the church. The Sagranus Stone stands in the west end of the nave of St Thomas’ parish church and it has for some time now been recognized by scholars of Early Christian inscribed stones as being of great importance. It is a 7 feet high dolerite pillar-stone and is thought to date from the late 5th or early 6th century AD, that being the immediate years following the Roman retreat from Wales. This ancient stone probably came from the original cell (llan) of the Celtic monastery. There are two holes in the slab which means that in the past it was used as a gate post, and it may even have been in use as a sort of stepping stone over a stream; maybe this caused the stone to be broken into two pieces. But as a bilingual inscribed stone with its Ogham cipher inscription of notches or strokes on its edges and the Latin (Roman) inscription on its face – it’s safety is now assured. Back in 1848 the strokes on the ancient pillar-stone enabled scholars and historians to de-cipher (interpret) the Ogham alphabet. 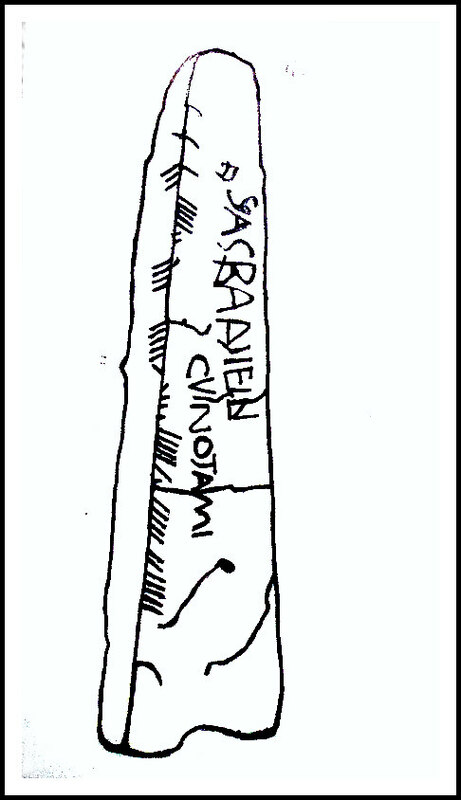 Ogham was the early Goidelic/Gaelic) language of Ireland. Both inscriptions, once they are translated, read as the same. HMSO/DoE also give details of the other pre-Romanesque stones in the church: “2 Part of headstone now in the parish church near the south door. On the face is slightly incised Maltese cross in a circle. Small headstones of this type were in common use from the ninth to the eleventh century; this example is early in the series. 3 Base of a tall stone pillar now standing reversed near the pulpit in the parish church. On the face is incised the lower arm of a cross with a swollen foot enclosing spirals and a basal knob; the out-turned lines at the broken upper edge of the pillar indicate the beginning of the cross. 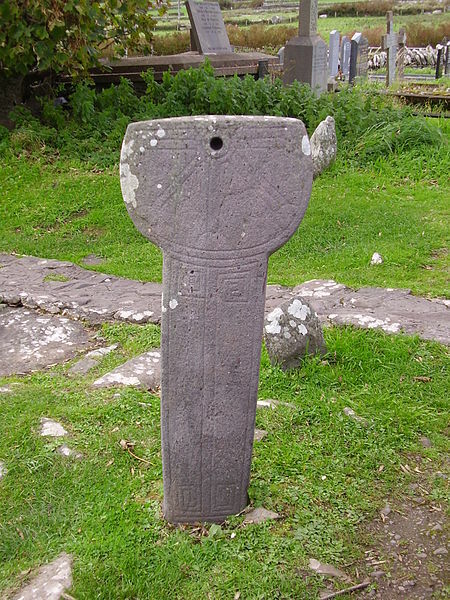 Pillars of this type with incised crosses were set up for commemorative purposes in the cemetery and in other parts of Celtic monasteries. 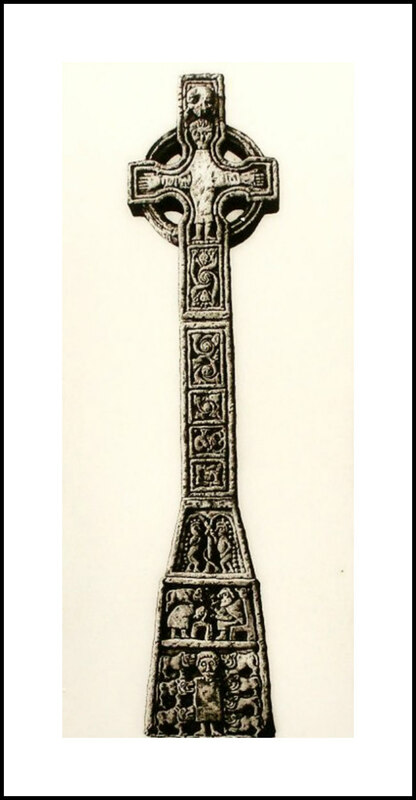 The elaborate cross is probably not earlier than the ninth century. 4 Part of the cover slab of a grave, originally some 6ft by 14in by 11in thick. On the upper surface is a Maltese cross in a circle with a long shaft and swollen foot enclosing spirals and a basal knob. Rather later than number 3; probably eleventh century.” There are several other Medieval stones but they are located in the abbey precinct outside. The abbey of St Mary was founded in 1115 by Robert Fitz Martin, Lord of Cemais, as a daughter house of the Abbey of Tiron in France, on the site of a Celtic (clas) monastery. 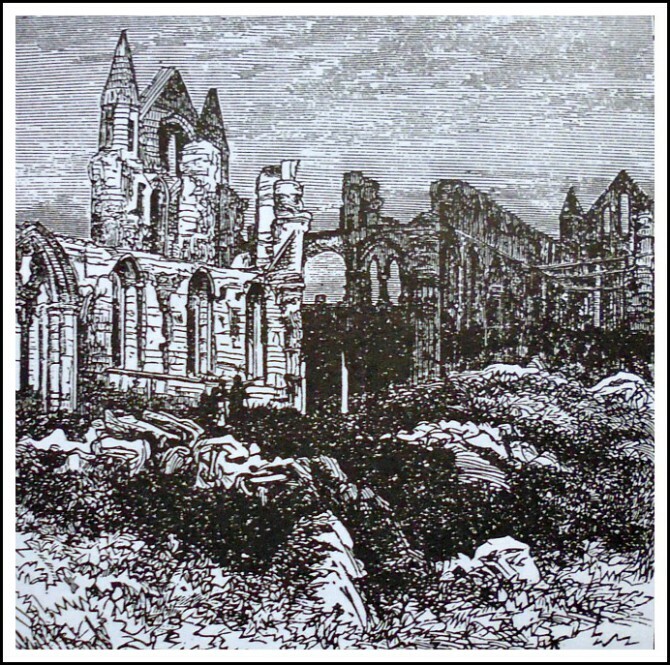 However, the Celtic monastery was destroyed by the invading Vikings in 987 AD. The monks of St Mary’s were members of the Tironesian Order, founded at Tiron between Chartres and Le Mans (1114) by St Bernard of Abbeville (1046-1117). The order of Tiron followed closely the Benedictine Rule and, in accordance with that, the monks at St Mary’s led a simple and austere life much influenced by the self-disciplined austerity of St Benedict. St Mary’s had dependencies at Caldey and Pill in Wales. 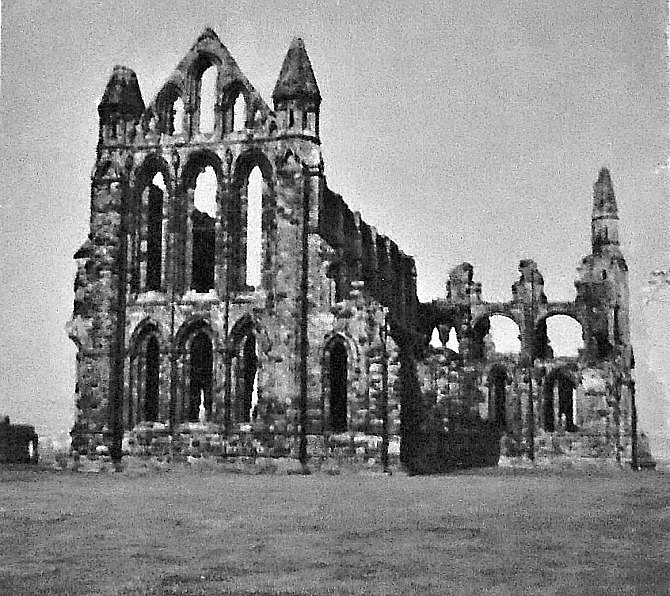 In 1536 the abbey was dissolved but the church and conventual buildings remained intact with some reconstruction taking place; and then it was put into parochial (parish) use, while the rest of the monastic buildings were allowed to fall into a ruinous state. The 14th century doorway of the abbey church retains its carved flower ornamentation. In the north transept there are Medieval carvings on corbels which depict Christ’s apostles, the eagle of St John the Evangelist and St Michael. 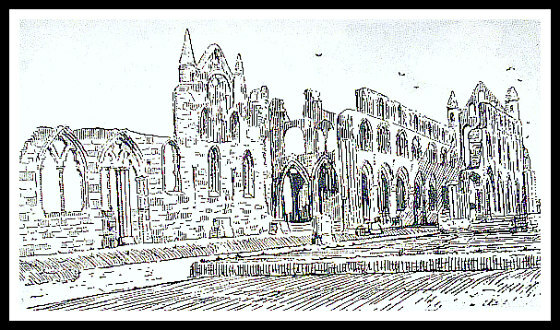 Later, in 1848 a new church, dedicated to St Thomas the Apostle, was built from the stone of the old abbey. Not that much is actually known about St Dogmael, Dogfael, Dogwell or Toel, who has given his name to this Pembrokeshire village, apart from that he was a native of Ceredigion (Cardigan) just across the river Teifi. He was the son of King Ithel ab Ceredig ab Cunedda Wledig. Apparently he gained his monastic training in Ireland, but came back to settle on the Isle of Anglesey – where Llandogwel church is dedicated to him. Then, later he sailed down the Cardigan coast and established a monastery inland at what became St Dogmael’s (Llandudoch) near the river Teifi. Another church is named after him at St Dogwells, Pembrokeshire, but it seems he died in Brittany about 505 AD, where he goes under the name of St Toel. He is titular saint of the church of Pommerit Jaudy in the diocese of Trequier, Brittany. David Hugh Farmer (1982) says that: “It is likely, but not certain, that he moved to Brittany where a St. Dogmeel or Toel has had a considerable cultus, and is invoked to help children to learn to walk.” His feast day is celebrated on 14th June. H.M.S.O./DoE, St Dogmael’s Abbey, C. A. Ralegh Radford, Her Majesty’s Stationery Office, London, 1975. Spencer, Ray, A Guide to the Saints Of Wales and the West Country, Llanerch Enterprises, Felinfach, Lampeter, Dyfed, 1991. Categories: Inscribed Stones, Monastic Sites | Tags: The Sagranus Stone at St Dogmael's in Pembrokeshire (Sir Benfro) in Wales | Permalink. 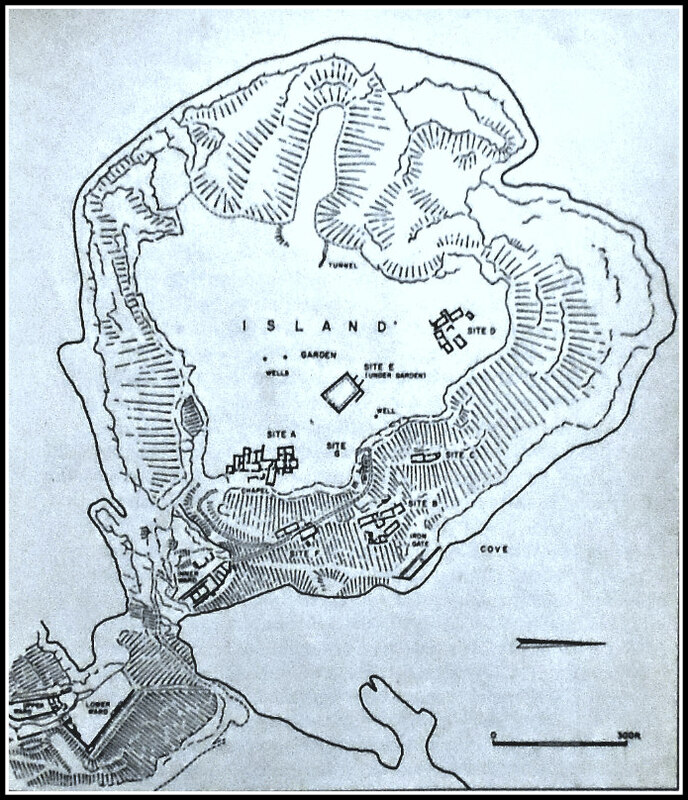 Map of Tintagel Island in Cornwall. OS Grid Reference: SX 05003 89064. On the rocky, windlashed headland of Tintagel-Head, in Corn-wall, near the ruins of Tintagel Castle which was built in c 1145, are the scant foundations of what was considered to be a Celtic monastery, dating from the beginning of the 6th century AD. This was probably a high-status Dark Age monastery with royal connections. There are also the walls of a 12th century chapel of St Julitta which is attached to the monastic buildings. It has always been assumed that the monastery here on Tintagel Head was founded in 500 AD by St Juliot, Julitta, or Julianta, a princess who hailed from south Wales, and might be one and the same as St Uletta. Tintagel Castle has long had “romantic” associations with King Arthur and Merlin the Magician. Today the monastic remains lie on Tintagel Island, which is all but cut-off from the rest of the headland where the castle ruins are situated. There is limited access from the castle to Tintagel Island through a deep chasm in the headlands via a footpath and bridge, but its very precarious and great care “should” be taken, especially if weather conditions are against you. The monastic site here at the south side of Tintagel Island, with its rectangular-shaped buildings all joined together, was excavated in the 1920s and 30s by C. A. Raleagh Radford (1900-1999) – at which time it was thought to be a high status Celtic monastery, but more recently a few historians have opted for the possibility that it might have been a trading centre due, perhaps, to the large amounts of pottery (known as Tintagel Pottery) found at the site, says Geoffrey Ashe ‘A Guidebook to Arthurian Britain’. 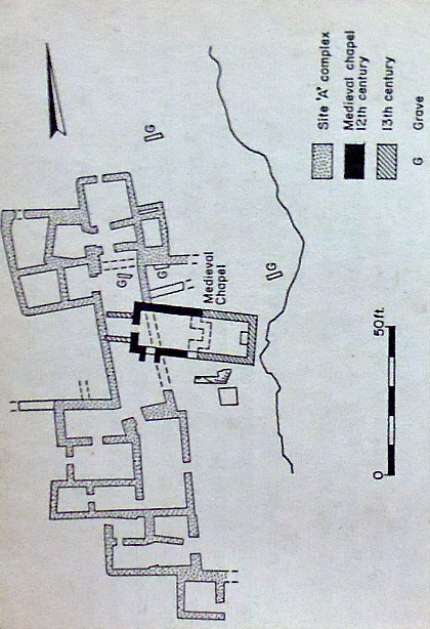 Another large building (site E) that was a part of the monastery lies beneath a garden, while other little clusters of buildings (sites B.C. and F) lie to the S and SE of the main monastic site, which is known as site A. These clusters of buildings were probably the monastery’s farm and stables. By the 9th century it seems the monastery here at Tintagel was abandoned, its buildings left to go back to nature and the mists of time, but to be re-invigorated again in the 1920s by an archaeological dig! 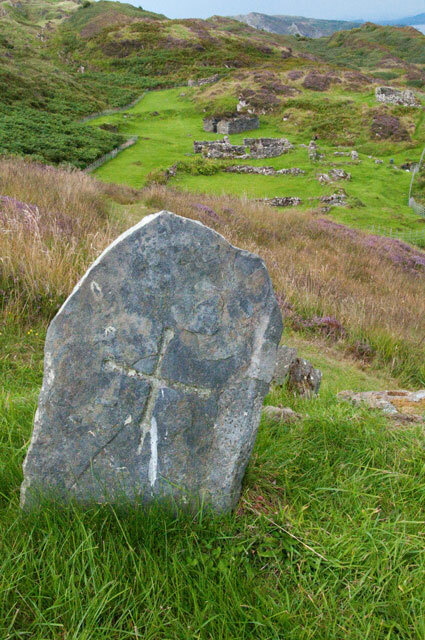 There is a lot of very good field information on the Celtic monastery at Tintagel in the work ‘The Quest for Arthur’s Britain’, edited by Geoffrey Ash. It says that with regard to excavations on the island: “These excavations showed that the headland of Tintagel had been the site of an extensive Celtic monastery. Four different phases identified in one of the buildings indicated a long period of occupation. Imported pottery from the east Mediterranean established an initial date in the fifth or early sixth century. A silver penny of King Alfred (871-99)—the latest artifact antedating the castle—may represent no more than the loss by a pilgrim to a deserted oratory which was no longer the centre of a living community. Pottery of the twelfth century and later, though relatively common on this site, was never found in the layers associated with the monastery. “The Celtic monastery of Tintagel was bounded on the landward side by an earthen bank, now crowned by the thirteenth-century curtain, and by a broad, flat-bottomed ditch. The upper part of the existing bank is a twelfth-century heightening, but the base, some 30 feet across and 8 feet high, dates from the fifth or sixth century. 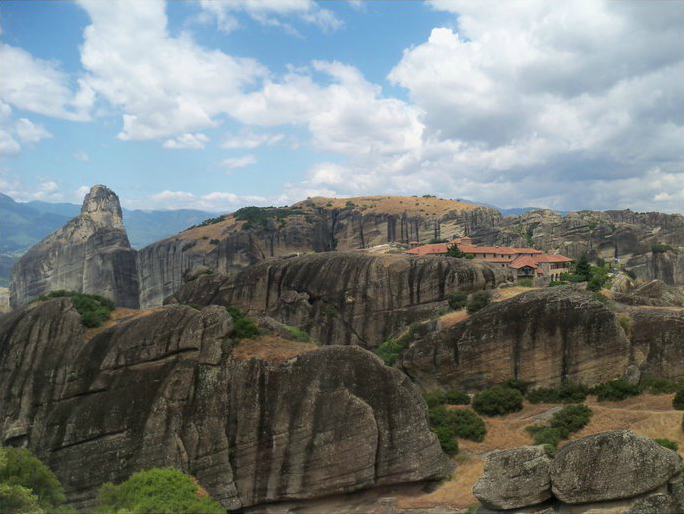 Like its medieval successor, the monastic bank ran from the edge of the scarp overlooking the eastern valley to within a short distance of the protruding boss of rock, leaving the same narrow entry. Early texts often speak of the monastic vallum, a term indicating the enclosure which fenced in the cashel or settlement occupied by the community. It seems always to have been a physical barrier, an earthen bank, a rampart of turf or a hedge. But it also had a spiritual meaning, separating the city of God from the world outside. “Within the enclosure the monastery consisted of groups of buildings, each with its special function. Eight such groups were located, of which six were explored and planned; the other two had been too far destroyed by the medieval castle. Two further sites were noted in folds of the cliff, and others probably await identification. Plan of Celtic monastery at Tintagel, Cornwall. “The first and largest site examined lay on the eastern edge of the plateau; it was centred on the twelfth-century chapel. The Celtic site consisted of a long range of buildings facing east on to a court which was bounded on the far side by the cliff, here forming the edge of the plateau. The range was approached from the south by a path running along the edge of the plateau; this is now reached by a modern zigzag approach rising up from the inner ward of the castle. The original way is likely to have been along the plateau, which has here been destroyed by the encroachment of the sea. 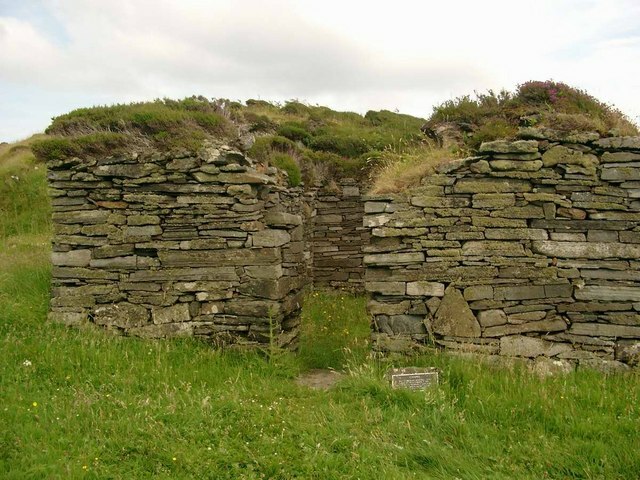 At the south end of the range of buildings, a small square room thrust forward from the general line, together with the stub of a wall, suggest a gate with a lodge providing access to the court. With the court, a much-ruined stretch of walling immediately south of the later chapel is probably part of an older oratory. Beside it is the base of a square block of masonry, a tomb shrine or leacht. 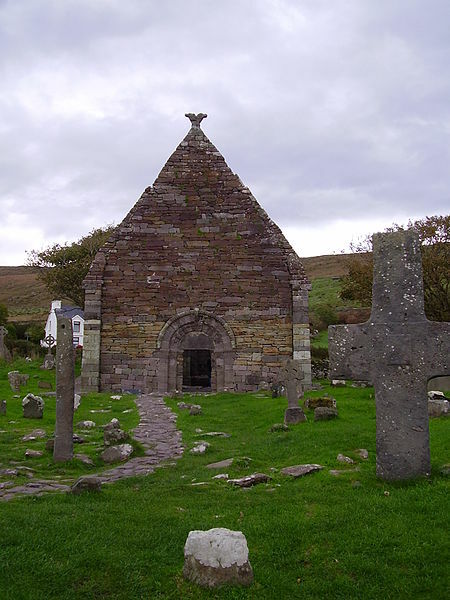 These tomb shrines are a normal feature in Celtic cemeteries; they housed the relics of saints or founders. “On the far side of the chapel a number of graves have been discovered. The oratory with the tomb of the saint would be the primary objective of visiting pilgrims. In its immediate vicinity one would expect to find the various buildings catering for their needs. There would be a treasury containing other relics, perhaps possessions of the saint. There would also be a sacristy, where the vessels needed for the service of the oratory would be stored. A guesthouse for the refreshment of pilgrims might also be found in this area, together with rooms needed by those members of the community charged with the care both of the pilgrims and of the lay community, of which the pastoral care was the responsibility of the monastery. And what about the founder/foundress of the Celtic monastery on Tintagel Head. Who was St Juliot or Julitta? The thinking is that the founder was St Uletta (Ilid). She was, according to legend, one of the many daughters of King Brychan Brycheaniog and was the founder of the first church at Llanilid, Mid-Glamorgan, in Wales, and is commemorated there with St Curig. In c 500 AD she went with other members of her family to Cornwall. We know that she was close, spiritually, to her sister St Morwenna and her brother St Nectan. It seems, however, that in Cornwall her original name was St Juliana (Iludiana) and over time the name became Juliot and Julitta; and soon after her arrival in Cornwall she established the monastic community at Tintagel. But St Juliot has been much confused with an early 4th century Christian martyr called St Julitta, who was commemorated with her three-year-old son St Cyricus in the west country. Their cultus was brought to Cornwall in the Middle Ages. St Juliot, however, is perhaps the patroness of Luxulyan church, Cornwall, with a feastday on the sunday nearest 29th June, according to David Farmer ‘Oxford Dictionary Of Saints’. In Cornwall St Juliot (Julitta) is sometimes referred to as a “martyr” due to confusion, again, with the 4th century saint of the same name. St Juliot is also commemorated at Lanteglos-by-Camelford, Cornwall, where a holy well is named for her. And St Juliot in the Valency Valley, north-east Cornwall, is named after the saint. A few historians have suggested that St Juliot was, in fact, a male saint! St Julitta’s feastday at Llanilid church in Mid Glamorgan, Wales, is given as 30th June. Ashe, Geoffrey, A Guidebook to Arthurian Britain, Longman Group Limited, London, 1980. Jones, Sally, Legends of Cornwall, Bossiney Books, St Teath, Bodmin, Cornwall, 1980. The Quest for Arthur’s Britain, (Edited by Geoffrey Ashe), Paladin Frogmore, St Albans, Herts, 1976. Westwood, Jennifer, Gothick Cornwall, Shire Publications Ltd., Princess Risborough, Bucks, 1992. Categories: Ancient Churches & Chapels, Monastic Sites | Tags: Tintagel Head Celtic Monastery in Cornwall | Permalink.